What makes Israeli’s discourse of CoC even more discussion-worthy is the fact that Israel, especially since September 11, 2001, has conceived itself and has been conceived by many policy makers, think tanks, terror experts and media commentators in the world as the exemplar in fighting ‘Islamic terrorism.’ The fact that this development enables and is enabled by the rehabilitation of an empire, emboldened orientalism, reinvigoration of racism, changing patterns of immigration, and the attacks against what is called ‘multiculturalism’ in key European nations makes its consideration all the more important. Given such importance, it is unfortunate that, to the best of my knowledge, there is not even a single piece of research that has seriously examined the Israeli discourse on the CoC. Particularly, what elements does this discourse include and foreground and what does it exclude and backward? What are the broader ontological and epistemological foundations underpinning it? What are the major features of the social context and power configuration in which it unfolds? Finally, what are the ramifications of this discourse when adopted as a guiding principle for foreign as well domestic policies, especially in multi-cultural and multi-racial nations? In this essay, I take an initial step in this enterprise. Specifically, I provide general outlines of the ‘Israelization’ of the CoC and, highlighting its terribly crude nature, explain the sources of its increasing appeal in leading European nations and discuss how all this is changing official European position on the question of Palestine/ Israel. Finally, I bring into sharp focus the colonial context of the Israeli occupation of Palestine of which Israeli public discourse on CoC tries to gloss over. This way of thinking, obviously, underwrites assertions such as Benny Morris’ that “[t]he Americans may have been wrong to invade Iraq, and we may have been wrong to go to war with Lebanon. All this pales into insignificance when we look at the huge struggle between the crazy radicalism that wants to control the world and the West that must protect itself.” In other words, hundreds of thousands of people who were murdered or maimed with the most sophisticated military machines on the planet, in addition to the tens of thousands of those who were abducted, tortured and raped pales into insignificance in the minds of Morris and his ilk. This is, of course, not to mention the massive forced uprooting, destruction of civilian infrastructures, personal properties and the sources of livelihood that these wars had occasioned. “signaled a shift away from previous attempts to accommodate minority cultures. Now, we are pressed to believe, the is up. Multiculturalism has not worked and, in fact, could never . Instead we must learn the ugly lesson that ‘our’ culture and their ‘culture’ are absolutely incompatible – our ways of life cannot be recon­and, more than this, the presence of this alien other is a direct to our own survival…is this account of the impossibility of coexistence—because of ‘us’, but due to the murderous nature of ‘them’—that echoes and Israel’s portrayal of the Palestinians…[More specifically], [a]particular representation of the Palestinian struggle to transform political conflict into impassable cultural conflict, a matter of ‘race’, not politics. At the point when western nations as Britain are learning to erase the idea of racism by suggesting that problem is really integration—meaning that minorities must learn to get along, accept the will of the majority and not annoy or people – Israel offers a model for transforming the justified of the racialized other into evidence that this otherness is , impassable and can only be contained and disciplined in the of the enlightened western state and its (full) citizens. In other words, major ‘global’ developments and transformations provided Israeli discourse on CoC is alluring quality. One of the major results of these transformations is a major shift in the official European position regarding the issue of Palestine/Israel in recent years. 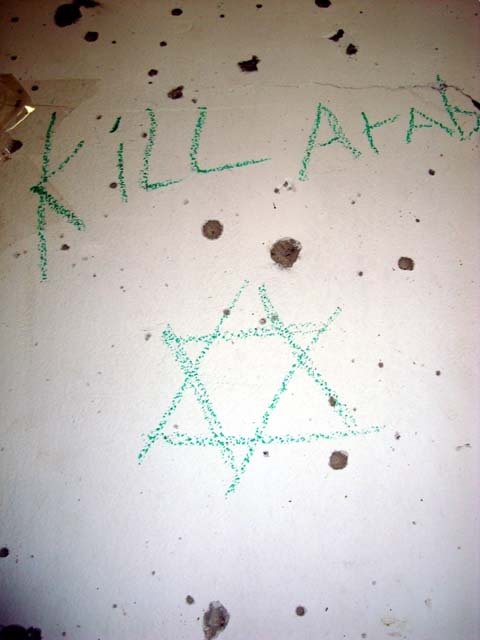 The current position is “gravitating closer to a US-Israeli framing of a war on terror, a ‘clash of civilizations,’ with a subtext of concern about the rise of Islam.” In truth, it is difficult today to identify substantial differences between the American-Israeli stance and that of the Europeans in everything concerning the Palestinian question. European governments, for instance, supported (and continues to support) the terrible siege on Gaza, provided justification, if only indirectly, for the latest Israeli War on Gaza in its unqualified acceptance of the Israeli narrative that this war was a defensive war and Israel has the right to defend itself, accepted the American-Israeli conceptualization that the fundamental problem in Gaza is not the mass imprisonment and the attempt to break the political will of the Palestinian people in order to accept Israeli colonial dictates but “smuggling weapons”, and finally major European nations enlisted their massive naval power not to, heaven forbid, impose sanctions on the occupying forces, which were engaged in wholesale killing and imposing a siege on 1.5 million people, but to end this smuggling. Put it otherwise, the massive show of support for Israel by the BritishPrime MinisterGordon Brown, French President Nicholas Sarkozy, German Chancellor Angela Merkel and Czech Prime MinisterMirek Topolבnek, manifested in their (in)famous meeting with the Israeli Prime Minister in Jerusalem on January 18, 2009 in spite of the massive killings and iconic destruction in Gaza, cannot be disconnected, I would argue, from the whole issue of CoC and the ‘Islamic threat’ in and to Europe. Likewise, this meeting indicates that European support for the Palestinians is increasingly predicated on, “shallower emotional and humanitarian grounds… helping people survive, hoping economic improvement is enough, and forgetting the old issues of substance, and Israeli occupation” More broadly, what is gradually disappearing not only from Israeli and American discourses on “terrorism” and cultural wars but also from the European’s is the now “outdated” concepts of colonialism and colonial occupations. Any serious examination of contemporary reality in Palestine/Israel in general and the most recent Israeli War on Gaza in particular, is merely impossible without placing them within their appropriate context: colonialism. By doing so, we can already recall that Israeli ‘political geography of mass incarceration,’ most vividly illustrated in the terrible siege on Gaza. Following closely the Israeli responses to the War on Gaza, as mainly manifested in the mass media, one cannot escape the impression that for the majority of Israeli generals, commentators and politicians, rewording Achille Mbembe, the Palestinian savages are, as it were, “natural” human beings who lack the specifically human character, the specifically human reality, “so that when Israeli officers and soldiers massacred them they somehow were not aware that they had committed murder.” Or, “[t]he slain children and the bodies rotting under the ruins [in Gaza], the wounded who bleed to death because our soldiers shoot at the ambulance crews, the little girls whose legs were amputated due to horrible wounds caused by various types of weaponry, the devastated fathers shedding bitter tears, the residential neighborhoods that have been obliterated, the terrible burns caused by white phosphorus, and the mini-transfer – the tens of thousands of people who have been expelled from their homes, and are still being expelled at this very minute, ordered to cram into a built-up area that is constantly growing smaller and is also under sentence of incessant bombing and shelling,” had been presented by Israeli officials in an Orwellian tactic par excellence as eventually will strengthen the “peace process.” If we return to Benny Morris and his European and American like-minded colleagues they probably will advise us to see these atrocities as necessary, though regrettable, collateral damage and reasonable price for humanizing the barbarians and defending Western civilization in the age of global cultural wars. Dr. Issam Aburaya, a Palestinian citizen of Israel, is an Associate Professor of religious studies at Seton Hall University in the US. *Mohammed, shot dead along with his mother by Israeli soldiers.Zeitoun, Eastern GazaThe “kill Arabs” hate grafitti reported in the Israeli daily Ha’aretz and numerous other news sources, and found throughout the Gaza Strip’s bombarded and militarily-occupied regions, is still scribbled on the walls of Mousa al Samouni (19) and the ten other members of his family’s home in the Zeitoun district east of Gaza city. 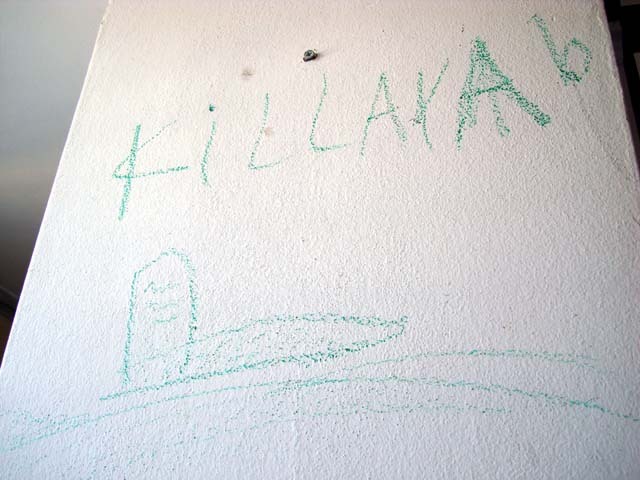 On nearby walls are “you can run but you can’t hide” and “1948-2009″, references to the Nakba* and what many refer to as the new Nakba: the 3 weeks of war on Gaza. Into the walls of the family’s home Israeli soldiers punched five different snipers holes, behind which they propped themselves on bags filled with sand dug out from underneath tiles in the house. 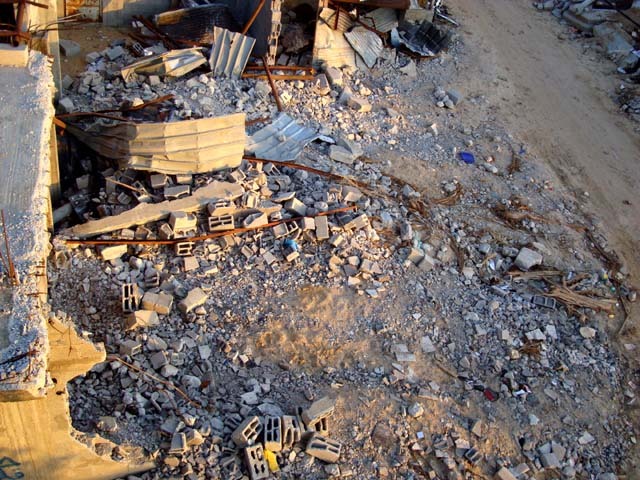 Like so many other houses occupied by the Israeli military, the house in which Mousa and his family lived was left a tangle of destroyed furniture, soiled clothing, and graffitied walls. At least 12 homes were bombed [residents cite 20 destroyed houses] or leveled in the area, and the orchards and chickens which generated incomes were razed and destroyed in the farming community, where the majority were living self-sufficiently.Mousa’s family had 1.5 dunams (1 dunam is 1,000 square metres) of fruit and olive trees and a modest 3,000 chicken farm, before all was destroyed by Israeli troops. Reports put around 100 farmers out of work and out of a livelihood in the Samouni quarter alone.Those houses which remained standing, like Mousa’s, did so largely because they served as sniper positions and military camps for the Israeli soldiers who desecrated the interiors and left them shells of their former home-selves.But the more glaring reminders of those days are the inescapable memories of two of Mousa’s brothers and both parents, and 44 relatives, suffering ghastly deaths at the hands the Israeli soldiers who imprisoned Mousa and his extended family in a small house before bombing it. Mousa and the elder two of his surviving 7 younger siblings, may be forced to bear the impossible burden of providing for a family instead of continuing in university or finishing high school.Mousa and the next oldest, Helmé (15), have told their gruesome story enough by now that they go through the details efficiently, pulling out photos of their dead parents and siblings, narrating meticulously how they came to be orphaned. One photo shows father and mother, Rachad and Rabab, standing smiling in front of a garden. Another has martyred Walid (17) posing in front of a backdrop of tranquility: a pond, a swan, birds, lilies… There’s no photo of Tawfiq (21), but he has left behind a wife and an infant boy.Helmé reveals the scar, several inches long, on his abdomen left by shrapnel from the bomb which brought down the house and killed his parents. A lasting reminder.Mousa leaves to sort out university bureaucracy, trying to continue with life, and an uncle, also named Helmé, takes over the narration, mentioning his personal losses: his dead wife and infant son, his dead mother and father, among other relatives. While he is able to tell the story, his sorrow and disbelief are evident. “I waited until I had money for a house before getting married. Now suddenly my house is gone and my wife and son dead.” He, too, pulls out photo mementos: his wife and his only child, asleep. Helmé describes the lead-up to the house-bombing of January 5th.”We were all in my house on January 3rd. It has 3 floors: my wife, son and I were on the 3rd floor, my brothers on the 2nd, and my mother and father on the 1st. The next morning, Helmé recounts, the firing had stopped. 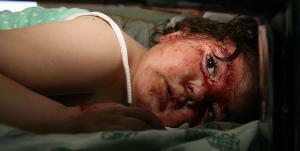 Relatives fleeing Israeli shelling nearby came to the house, including Helmé’s brother, Rachad Samouni, and his family. “There were about 50 of us,” Helmé continues. “We all stayed on the 1st floor. The Israelis bombed the 3rd floor while we were still inside the house. They bombed with other explosives which blew the walls out. Then, Israeli soldiers came to our house. My father had worked in Israel and knew how to speak Hebrew. He told them we were just children and farmers, there were no fighters. They ordered us to leave.”Helmé’s uncle, Atiya, was in his own home nearby when Israeli soldiers arrived. “Who owns this home?” Helmé reports they asked, saying that the soldiers shot Atiya point-blank when he stepped out of the house, hands up. Helmé’s allegation that Ahmed, Attiya’s 4 year old son, was the next shot by the soldiers is supported by other witness accounts from the day. Some have the toddler running out, grabbing hold of a soldier’s legs and crying out “why did you kill my father?”. Others say that Ahmed and his mother were killed, and many other injured, when the soldiers turned their fire to the interior of the house. 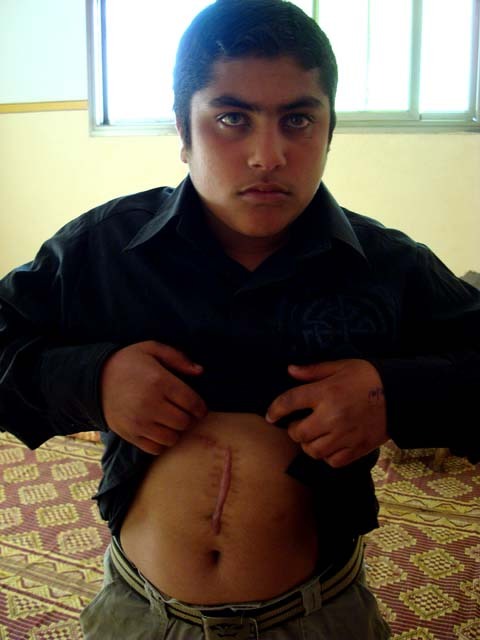 Ahmed didn’t immediately die but instead bled to death over the course of the day, denied access to medical care. Helmé’s narration continues, again corroborating what others have said and written. 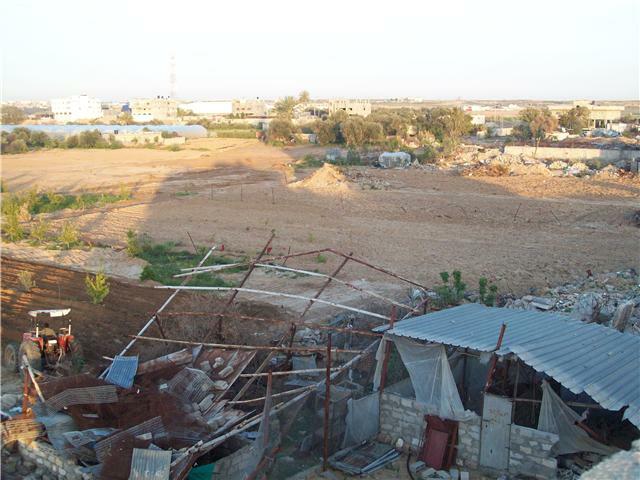 That the extended family was taken at gunpoint to the house of Wael Samouni, that others were brought, and that they remained captive inside during the day and night, without food and water, numbering roughly 100 people. “We stayed 1 night in the new house, not sleeping because we were so scared and because of the firing,” Helmé says. Early the next morning (January 5), his brother Salah and a cousin Mohammed Samouni went outside to collect wood for a fire, to make bread. It was quiet and they thought the soldiers might have left. 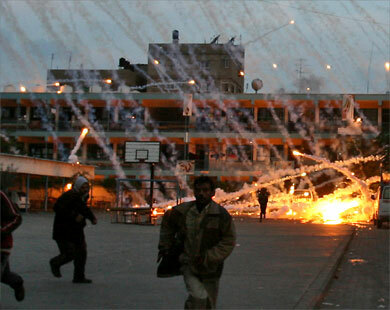 “They were out between the wall on the street and the house when 2 Apaches above opened fire, firing a rocket at them. 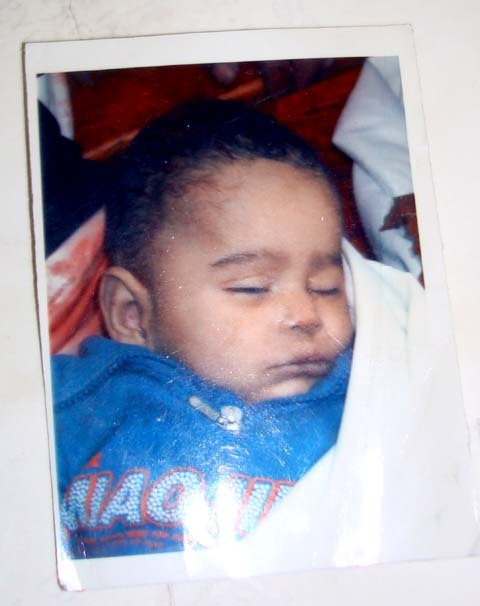 Mohammed was killed instantly.” Salah survived, but was injured, with shrapnel fragments in his forehead, back and legs. It was then that Helmé saw his wife, son and cousin had been just been killed. 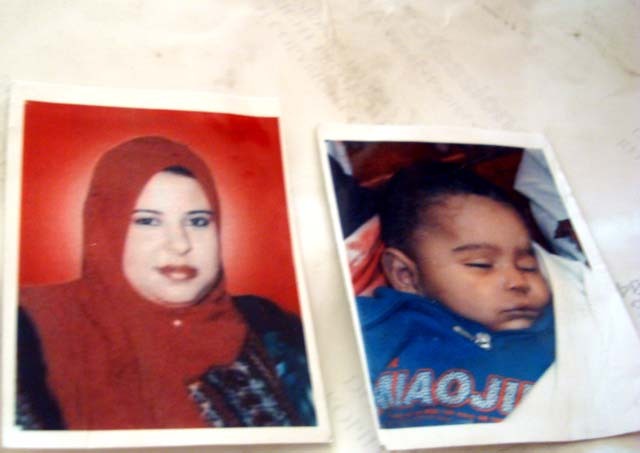 Maha (Helmé’s wife) and Masouda (Mohammed’s wife) had been standing at the door with their babies in their arms. An Israeli sniper on a neighbouring roof shot Maha, their 6 month old son Mohammed and Masouda’s nearly year-old baby Mu’tassim dead. Masouda survived with light injuries. Minutes later, says Helmé, the Israeli army dropped 2 more shells on the house. The BBC reported that the Israeli military said forces allowed medical help “to the greatest extent possible subject to the perceived risks”. And from the vantage point of volunteering in the Red Crescent’s ambulances I know countless calls for help went unanswered. Leila, who was present for the belated evacuation of some of the Samouni victims, also knows otherwise: the Israeli military actively prevented medics from reaching the wounded, in Zeitoun, in Ezbet Abed Rabbo, all over Gaza. *The Nakba is what Palestinians call the Zionists’ bloody expulsion of 750,000 Palestinians from historic Palestine, along with the destruction of over 419 villages, for the creation of Israel in 1948. 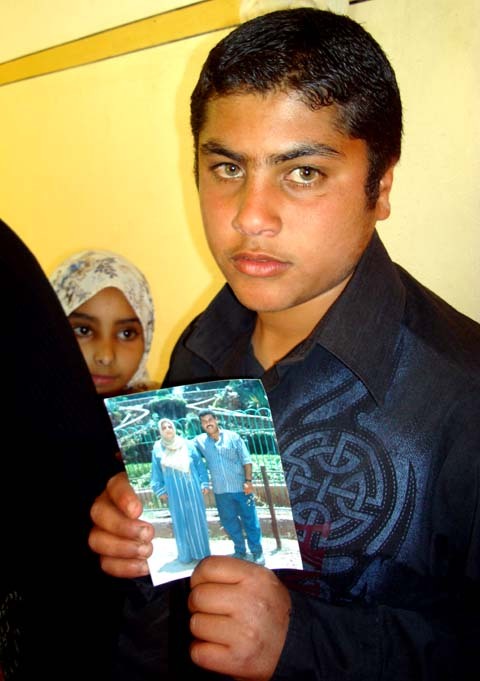 *Helmé, 15, with a photo of his murdered parents. 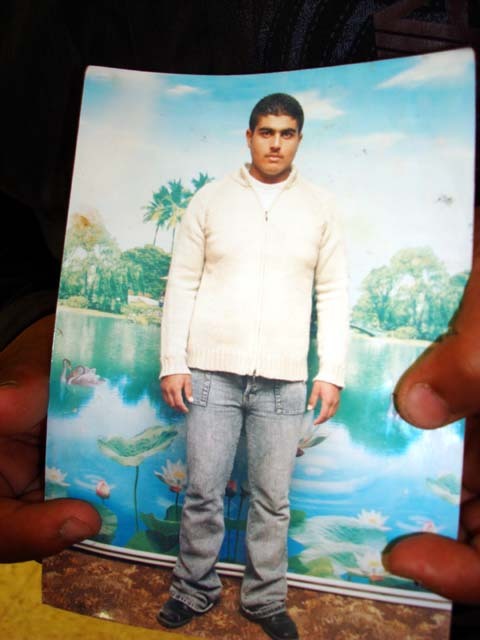 *17 year old Walid, murdered at his home by Israeli soldiers. Adam Shapiro is a human rights activist, dedicated to fostering dialogue between Jewish and Palestinian youth through ‘Seeds of Peace’. Together with his wife, Shapiro founded the International Solidarity Movement (ISM), an organization that attempts to bring civilians from around the world into non-violent resistance efforts in Palestine. His previous works include a documentary entitled About Baghdad. Today marks yet another black day in Palestinian history, known to all Palestinians as Land Day. On March 30, 1976, six Palestinians from Arab villages inside the Green Line were shot and killed by Israeli forces while protesting the order to confiscate 5,500 acres of land from the Galilee. Since then, Land Day has been commemorated by Palestinians inside Israel as well as Palestinians in the West Bank, Gaza and Jerusalem. Land Day is significant to the Palestinians on a number of levels. For the Palestinians who remained in their homes after the horrors of the 1948 War, it is a reminder of their existence, of the right to their own land and their own identity. The protests of March, 1976 marked the first major protest against Israeli rule by the indigenous population since the establishment of the Jewish state almost 30 years earlier. Still reeling from the atrocities Israel carried out during the war, the creation of the refugee problem, the destruction of hundreds of Palestinian villages, the horrific massacres and the Palestinians’ demotion to second-class citizens virtually overnight was perhaps the slow churning wheel that led up to the eventful day. Hence, the threat of additional confiscation of land could not be tolerated and the people rose up, for the first time in unison and as one national body. People refused to go to work and the strike and protests took Israel by surprise. At the time, Israel revoked its decision and despite the six deaths and several injuries, the action was considered a success. As it should be. Since then, Israel has whittled down Palestinian-owned land in historical Palestine from 94 percent pre-1948 to less than three percent today. However, Land Day has effectively kept the issue of Palestinian land on the agenda and in the collective minds of all Palestinians. It is also a reminder that our people inside the Green Line share a similar fate with all Palestinians whether they live inside what is now Israel, in the occupied Palestinian territories or in the refugee camps in Lebanon, Syria and Jordan. For the Palestinians, it has and always will be about land. Land, which they rightfully owned and which was illegally taken from them, either in Israel’s wars on the Palestinians in 1948 and 1967 or through their more insidious measures ever since. Israel understands just as well as the Palestinians that the conflict is about land. That is why illegal settlements continue to sprout up on occupied Palestinian land complete with their infrastructure and bypass roads that swallow up even more area. There is the separation wall, snaking through West Bank territory, cutting off Palestinians from one another and from their land off of which they live. The wall, when completed will directly affect 50 percent of the Palestinian population in the West Bank through its isolation or land expropriation. Then of course, there are the outright confiscations Israel declares are necessary for “Jewish communities” [i.e. 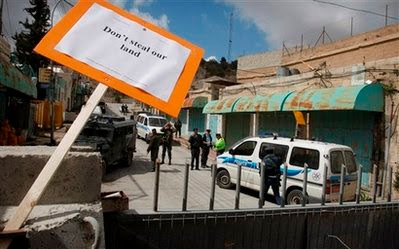 settlements], checkpoints and roads, all land owned and passed down for generations by Palestinians. For Israel, creating more facts on the ground in terms of usurping Palestinian land better serves their long-term goal of preventing any sustainable, viable and contiguous Palestinian entity in the future. Their rush to devour as much land as possible in the occupied Palestinian territories is for this very reason. The repeated impasses in the peace process are not coincidental nor are they a result of any “lack of a Palestinian partner.” They are a systematic and well-thought out policy by Israel’s Zionist establishment that aims to encroach on as much Palestinian territory as possible before any permanent settlement is finally imposed. This way, when the world grows tired of the Palestinian-Israeli conflict and insists on a solution, Israel will already have completed its sinister workings and there will hardly be anything remaining over which to settle. One only has to look at the situation today vis-à-vis Palestinian land, to see how this policy has become fact. One only has to travel to Bilin and Niln each Friday to see the determination of the people not to let Israel take even more land than already gone. In Palestinian communities inside the Green Line, it is much the same principle. In 1976, Palestinians found the strength to unite and remind Israel that their existence is not to be taken for granted. Every year since then, Palestinians everywhere hold rallies, activities and demonstrations to commemorate this day and stand witness to the ongoing struggle to retain land that is rightfully theirs. It is not a choice. For every Palestinian, it is an obligation to hold the memory of those six who offered their lives for a greater cause close to our hearts and minds along with the tens of thousands of other Palestinians who did the same. It is a duty to fight this battle for our land to the bitter end because if not about land and existence, what are we really fighting for? Palestine– a piece of land on the eastern shore of the Mediterranean Sea. For many years Palestine was the home of the Palestinian people: Muslims, Christians and Jews who lived in peace and harmony for hundred of years. In the late 19th century, in the light of emerging European nationalism, a few Jews had decided that Jews should not be left out. 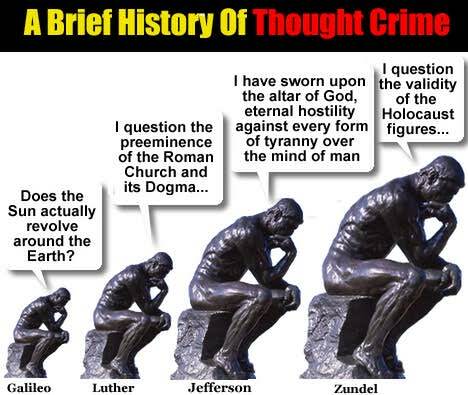 They then invented the notions of: ”Jewish people”, ”Jewish history” and ”Jewish nationalism”. They decided to settle the majority of world Jewry in Palestine. Throughout the years the Jewish national project, i.e., Zionism, had become more and more sinister and ruthless. In 1949 70% of the indigenous Palestinian population had already been ethnically cleansed. Nowadays the majority of Palestinians are living behind barbed wire in a state of terror guarded by Israeli soldiers. In a statement released Wednesday, the ADL said the remarks by Archbishop Dadeus Grings of Porto Alegre, Brazil, highlight the continuing fallout from the case of Bishop Richard Williamson, who declared that no Jews were killed in the gas chambers during the Holocaust. Our holocaust was worse than your holocaust ,na na,nana,na!! !